SPECTACULAR VIEWS!! 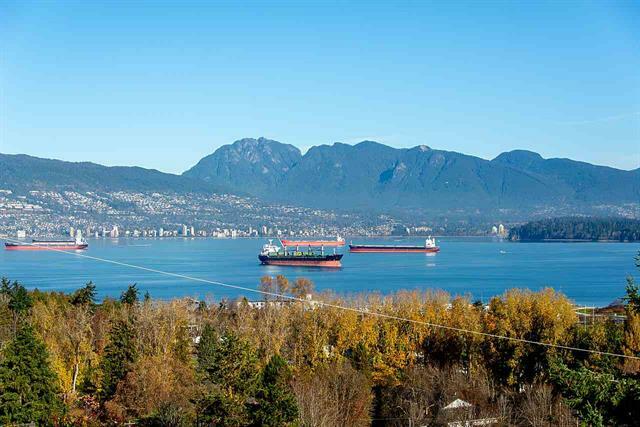 Enjoy unobstructed water, city and mountain views sweeping all the way from Bowen Island to Downtown from all 3 levels of your new home on this rarely available 7,427 sq.ft. lot in Prime Point Grey. The 168.8' deep property offers tremendous privacy and isolation from the street. Fabulous location just a few blocks to the beach, Queen Mary Elementary and West Point Grey Academy. Lord Byng Secondary, OLPH, St. George's, UBC, shopping, Trimble Park and Pacific Spirit Park all close by. Current house is uninhabitable. Please call for an appointment to view this incredible opportunity to build your dream home.